Dressing up in a costume for the holidays is a great way to get together and have with your family. Whether it is a scary werewolf costume for Halloween or a jolly Santa costume for Christmas, it can be complicated to prepare costumes for safekeeping. 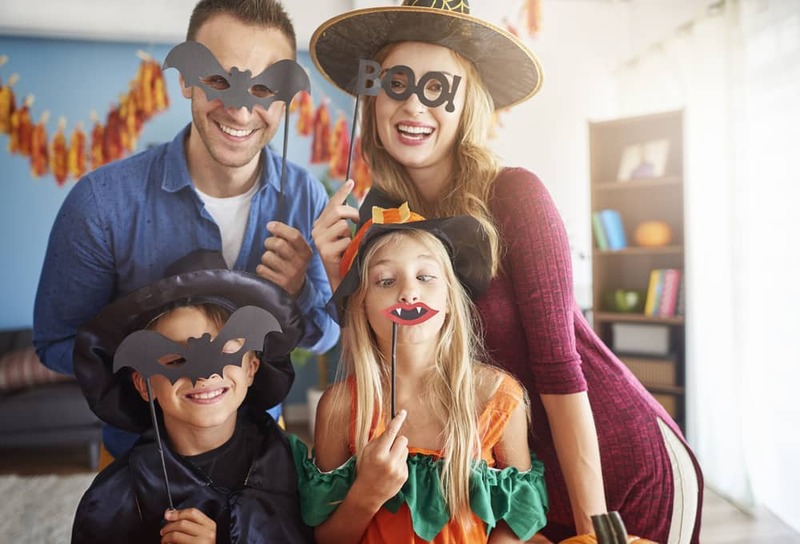 Affordable Family Storage is here to help, with useful tips and tricks for keeping your costumes in great condition, and great storage solutions so your favorite costume will be ready when the holiday season rolls back around. Read on for more tips from Affordable Family Storage in today’s blog. For most costumes, you can simply wash the costume as recommended by the manufacturer. Spot-clean stains and problem areas, such as hems of dresses and pants or the neckline of costumes that involve makeup. For costumes with fur, such as a gorilla costume, the process of washing can be difficult. The recommended process is to use cool water and a mild shampoo to lightly and gently wash the fur. This task is best performed in a bathtub, with only a few inches of water in the tub. Avoid scrubbing the fur; instead, use a wiping motion to minimize tangling. Rinse the costume gently and use a towel to press the fur, drawing away moisture. Lay the costume flat on a dry towel and allow time to air dry. You can use a blow-dryer to complete the drying process, but only on the lowest temperature setting. Carefully examine your masks and wigs to assess if they require a complete washing. If possible, simply spot-clean the mask or wig, making sure to check the inside of the item as well. If necessary, wash the wig or mask with cool water and a mild shampoo. Dry the item by carefully pressing with a dry towel, and then finish drying by hanging the item or laying it flat on a towel in a well-ventilated area. Once it is dry, restyle the wig or mask, just the same way you would style your own hair. Use a comb and style the item to your liking, using a blow dryer if necessary, but only on the lowest temperature setting. Once the item is completely dry and styled to your preference, you are ready to store the item. For items that are valuable or have special significance to you, it is recommended that you use an archival box for costume storage. Archival boxes cost a little more, but they offer excellent preservation quality. If your costume is best preserved by hanging it on a clothes hanger, make sure to use a garment bag to cover items and protect from humidity and dust. For wigs, masks, and other items that must retain their shape while in storage, use a plastic container with a tight-fitting lid. This will offer protection from humidity, dust, and pests. The rigid plastic container will also prevent the item from being crushed under other stored items. To preserve the shape of the mask or wig, use a styrofoam head or simply balled up newspaper to fill out the shape of the item. For pest prevention and a pleasant scent, cedar wood balls are recommended. Avoid using mothballs, which smell unpleasant and are less effective in pest prevention than cedar. Whether you are preserving an expensive Hollywood quality costume ensemble or a cherished childhood Halloween costume, Affordable Family Storage has a climate-controlled storage solution that will ensure your favorite items are safe and secure for years to come. At Affordable Family Storage, we believe in protecting the things that are important to you and your family. For excellent storage solutions and helpful customer service, contact us today and check out our website.